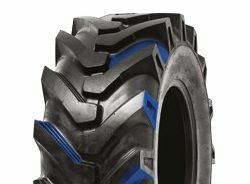 Provides incomparable durability and traction for heavy-duty applications. Enhanced tread cleanout and lug stability combined to maximize performance. IMPROVED MOUNTABILITY – Increased tension on rim prior to inflation compared to competition designed to prevent air leakage during inflation process.